Board games are great for bringing people together (except maybe for Monopoly where the banker always seems to win). If you’re looking for a grand old time with your mates, why not head down to these bars? With drinks and games galore, it’s the best way to spend a lazy afternoon! The board-gamiest joint in town, Hungry Hippos is a bright, colourful cafe/bar with hundreds of games to choose from. It’s got absolutely everything, from simple card games like Uno to hundreds-of-pieces strategy epics like Star Wars: Rebellion. Funnily enough, the one game they don’t have here is Hungry Hungry Hippos (but we’re sure they’re getting it soon). Either way, have a fun and make sure you try the sweet potato Battlechips! How’d you get on at Hungry Hippo? Write a review on True Local! Boasting the biggest beer garden in Adelaide, Edinburgh Castle is all about fun times with good people. From Scrabble meet-ups to the famous Thursday nights (hosting such favourites as comedy trivia contests and Cards Against Humanity), there’s always something great going down at this friendly pub! An attractive, artsy kind of space, Hotel Wright Street is a cosy haven of wood frame lampshades, fascinating paintings and various plants, knickknacks and feature furnishings to keep your eyes engaged. 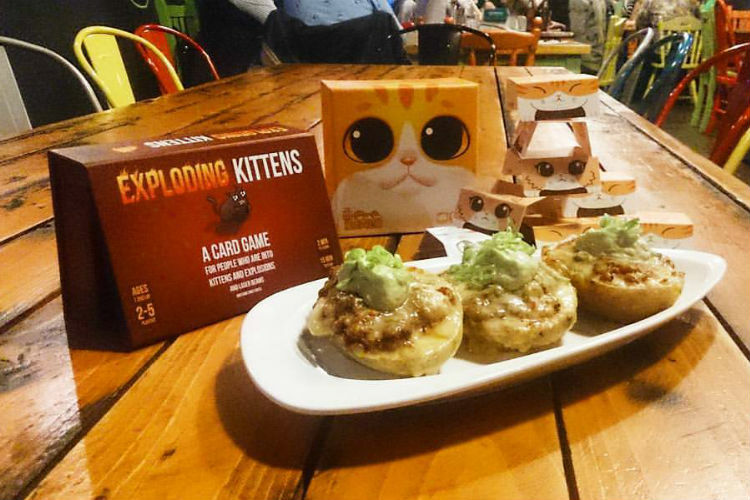 The food is top quality (with plenty of vegan options, too) and they also offer a big selection of board games. Curl up by the fire and have a laugh as you heartlessly demolish your friends! The old Kentish Hotel is one of Adelaide’s most beautiful pubs. All sandstone archways, oaken barrels and spacious elegance, it strikes a lovely balance between its old-timey origins and modern renovations. More importantly, however, it does a trivia night on Tuesdays! Get your brains picked by Quizmaster Kamleh, and tuck into a tasty chicken parmy and the beer of the months for just $10. Don’t forget to rate and review these fine, upstanding establishments on True Local.